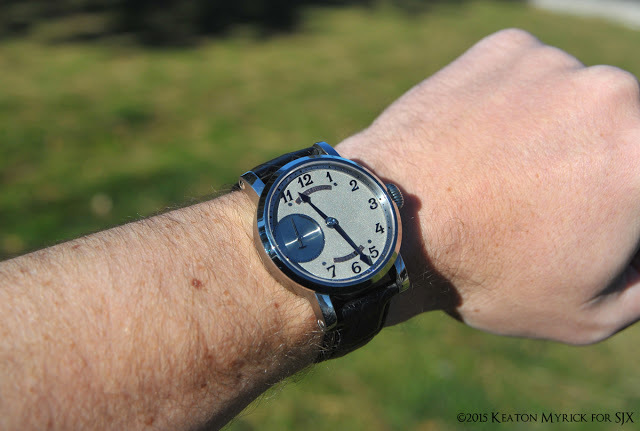 Introducing the Keaton Myrick 1 in 30 Chronometer Made in the U.S.A.
Based in Oregon, Keaton Myrick is a young watchmaker who has spent the last three years developing his own wristwatch, the 1 in 30. Here’s a look at the most recent, and most elaborately finished, iteration of the timepiece. 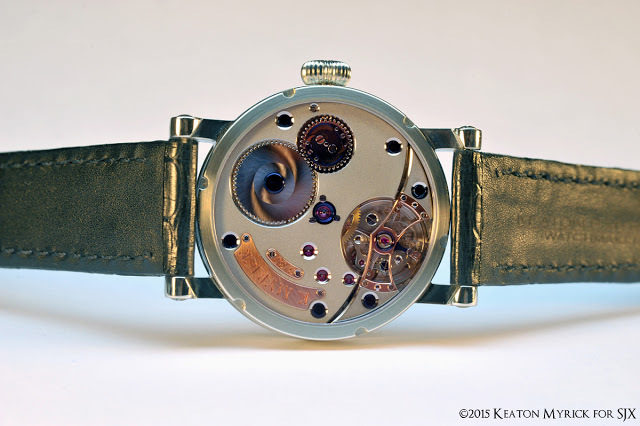 Since making his debut in 2013, American watchmaker Keaton Myrick has refined his wristwatch, now known as the 1 in 30, a reference to the number that will be made. The calibre 29.30 inside has evolved in a striking fashion, now featuring more elaborate finishing while retaining the details that made it stand out at its introduction. 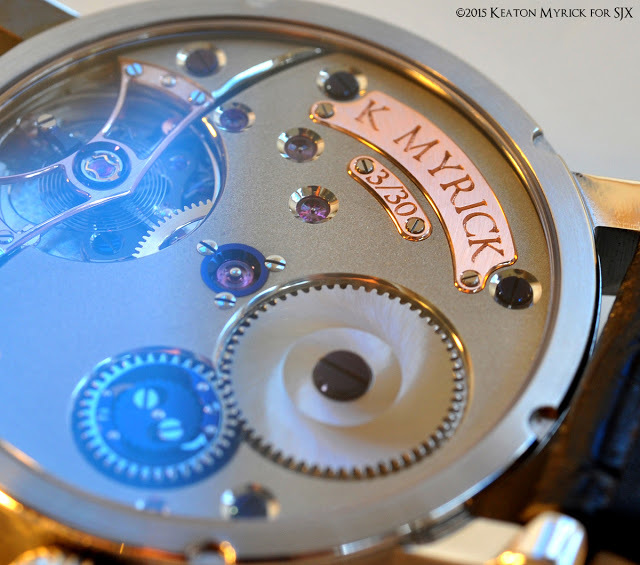 Myrick makes most of the movement components himself, though the underpinnings of the calibre 29.30 are based on the Unitas 6497. 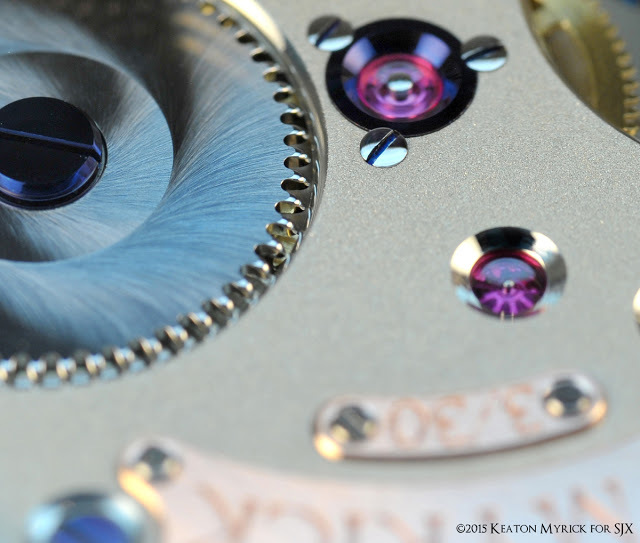 Consequently, most of the decorative elements of the movement can be customised. The watch pictured, for example, has blued steel screws and a balance bridge in red gold, instead of the conventional steel. 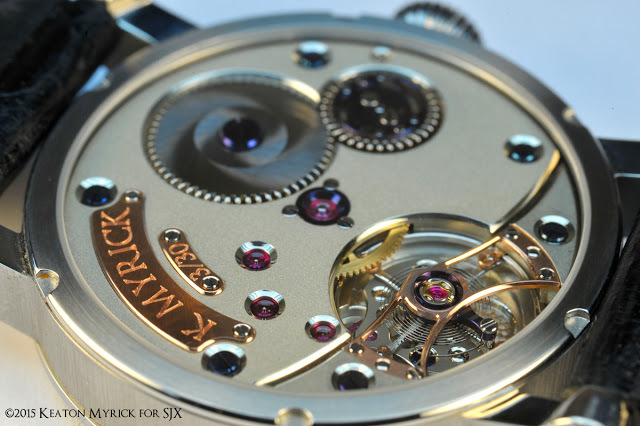 The latest version of the movement has significantly more fine finishing, demonstrating how Myrick has advanced his craft. That evolution is seen in the teeth of the barrel ratchet and winding wheels, which are now rounded and polished. The calibre 29.30 is heavily inspired by classical watchmaking. The full bridge for the balance wheel, for example, is modelled on those found in observatory tourbillon pocket watches. 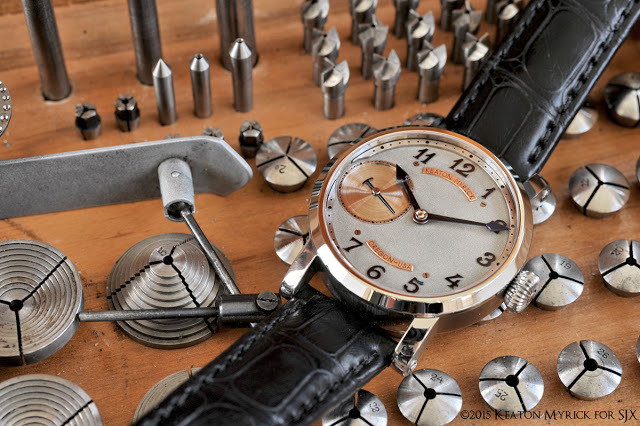 And the elaborate winding click for the barrel is similar to those used in grand sonnerie clockwatches. Other elements of the movement are inspired by what is now known regarded as Saxon watchmaking, the sort exemplified by A. Lange & Söhne, or independent watchmakers like Lang & Heyne and Moritz Grossmann. The German silver three-quarter plate is frosted, while the centre wheel jewel is secured by a steel chiton. 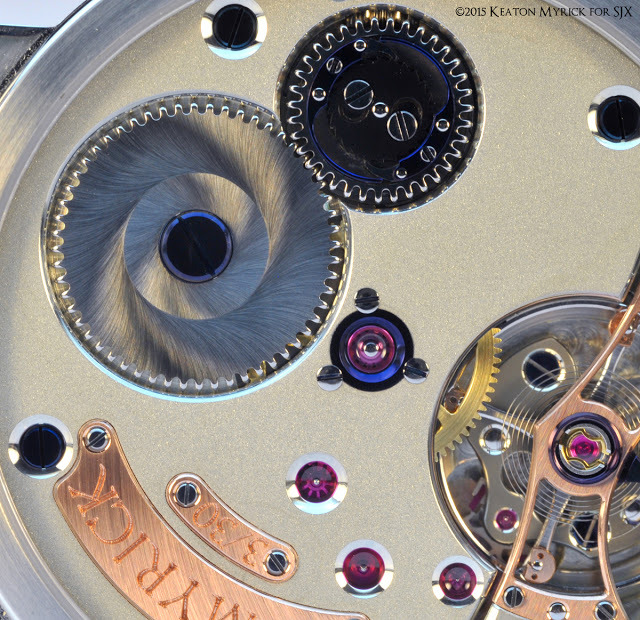 A similar evolution of style and technique is visible on the dial that is now more elegantly decorative. 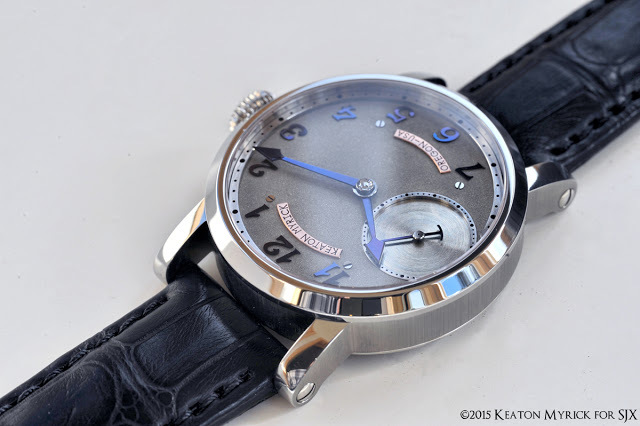 Made of German silver, the dial has a frosted finish, while all the hour numerals and hands are blued steel, while the plates for the brand are in red gold. 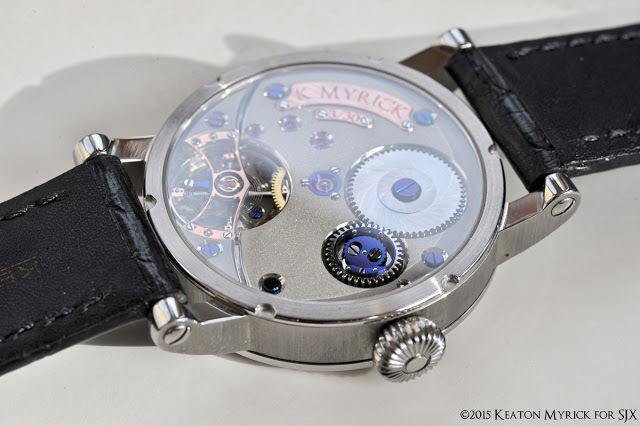 The case remains a stock stainless steel case that is relatively simple, however, Myrick is working on a proprietary watchcase that should be completed some time in 2016. Pricing and availability Various elements of the 1 in 30 can be customised, from the materials used for the movement components, finishing techniques, as well as the specifics of the dial. The 1 in 30 wristwatch starts at US$21,500 in a stainless steel case. It is available direct from Keaton Myrick.